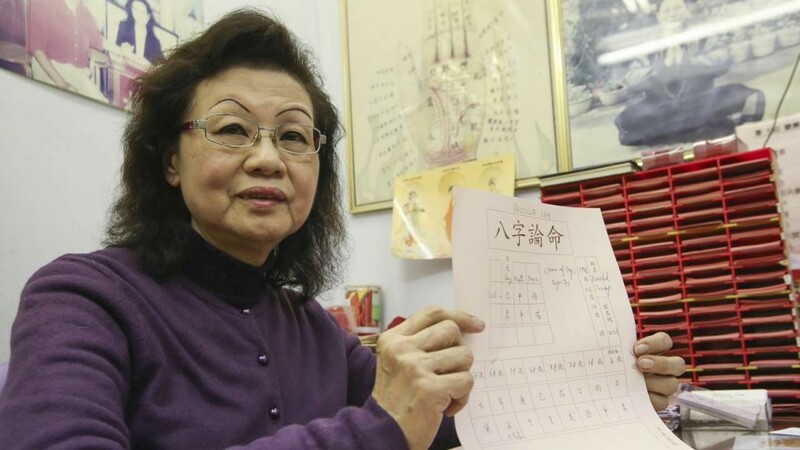 The feng shui master who correctly foresaw Donald Trump winning the US presidency believes his run of good luck will continue in the Year of the Rooster – but only until September, when she says his “nightmare” will start. Hong Kong is expected to meet a similar fate, with good fortune in the first half of the year before the economy takes a turn for the worse, she said. Priscilla Lam, who counts actor Jackie Chan among her former clients, said President Trump would face difficulties in September, as protestors aired their grievances and the country became divided. “In the first half of the year America will be OK, no problem. But in the second half, the nightmare will start,” Lam said from her office at Taoist Wong Tai Sin Temple in New Kowloon, where she has been telling fortunes for 20 years. “Trump has made so many people upset or irritated, so when his luck runs out in the second half of the year, problems or challenges will go with it. Despite polls last year leaning towards a Hillary Clinton victory, Lam tipped Trump to win in February 2016, telling CNN, that “his fire is stronger than Hillary’s”. Lam forms her predictions by first studying the person in question, and combining that information with astrology and feng shui techniques. Trump was born in the Year of the Dog, and is an earth sign, meaning he can rapidly change his mind or break his word depending on the environment, Lam told South China Morning Post. This means he could soften his stance on China in the second half of the year, but press ahead with his proposed border wall with Mexico, Lam said. Lam expected Trump to remain president for a four-year term, but wasn’t expecting him try for a re-election. “He’s still a lucky person,” Lam said, adding that it would be a “bit difficult” for him to be re-elected as his luck was not so good from 2021. Unfortunately for Hong Kong, the city’s fate looks set to be largely the same as the new president’s, said Lam.